A line of British Transport Police. Credit: Keith Gentry/Shutterstock. The news to introduce 2,840 BWCs follows a successful 12 month trial in the force across England, Scotland and Wales. By March 2018, every PCSO and officer up to the rank of inspector will be equipped with a BWC, once they’ve completed the required training course. BTP assistant chief constable Paul Brogden said: “A trial of body worn videos over the last year showed that they helped bring about speedier justice for victims. “Not only do they provide vital evidence in cases, but they also can protect officers against malicious complaints and reassure the public as they travel through stations and on trains. Axon Public Safety UK will supply the BWCs, which attach to officers’ uniform but do not permanently record. Members of the public will be told when they are being recorded and any footage is automatically uploaded to secure servers and flagged for use as evidence at court or other proceedings. Video footage not retained as evidence or for a policing purpose is automatically deleted within 31 days. 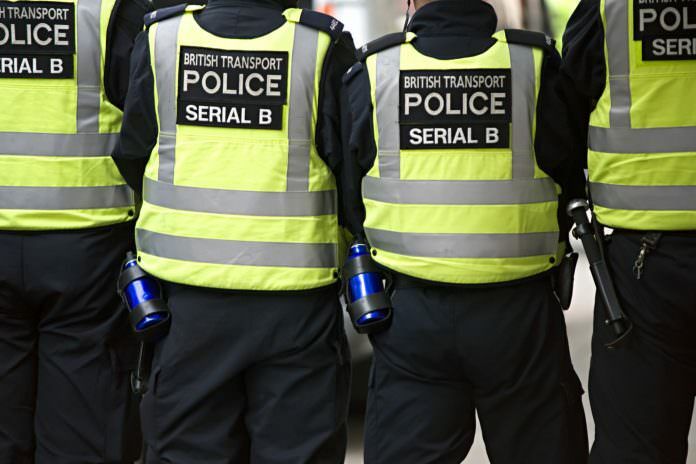 Read more: What do the British Transport Police do?